An exploration of folk songs from different countries. This recital will feature songs by POULENC, BRITTEN, PIZZETTI, RAVEL, and FALLA. On Saturday 16th June at 1.05pm in St. Iberius Church Wexford, Music for Wexford will present a recital by the Ficino Ensemble of a string trio by Beethoven and a piano quartet by Brahms. The String Trio in G Major op. 9 no 1 is an early work by Beethoven, composed shortly after he moved to Vienna in 1792. It was dedicated to Count Johann George van Browne, a patron of Irish ancestry. The Piano Quartet no. 3 in C minor op. 60 by Brahms was started in 1856 but was set aside for 17 years as Brahms came to the assistance of Clara Schumann following the death of her husband Robert. When he resumed work on it, Brahms changed the key, revised the first movement and inserted a Scherzo. It was premiered in Vienna on 18 November 1875, with Brahms at the piano, and members of the Hellmesberger Quartet. The Ficino Ensemble was formed by Artistic Director Nathan Sherman in 2012 as a flexible chamber music group that performs all the great music for small ensembles, ranging from string trios to works written for larger ensembles. 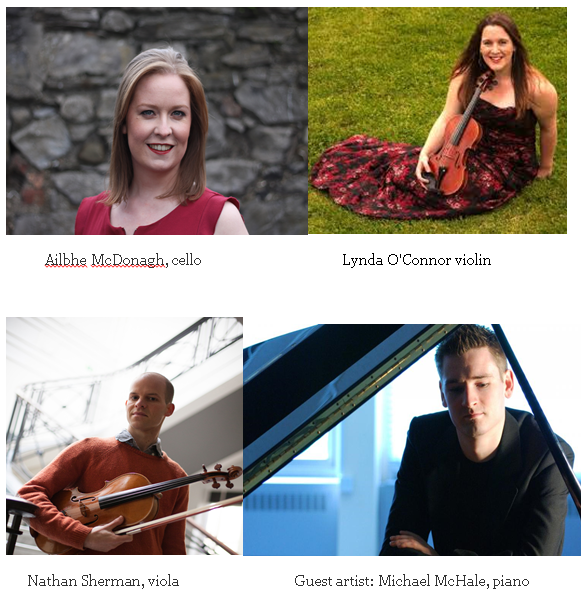 On this occasion the line-up will comprise Lynda O’Connor, violin, Nathan Sherman, viola, Ailbhe McDonagh cello and their guest Michael McHale, piano. On Sunday 13th May at 4pm Music for Wexford will present a recital in St. Peter’s Church, Kilmore Quay by Musici Ireland. The programme will comprise the clarinet quintets by Mozart and Brahms and Vivo by local composer, Liam Bates. 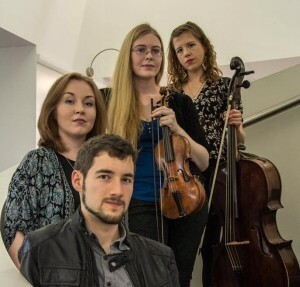 The participating members of this Musici Ireland ensemble will be Mia Cooper and Siun Milne, violin, Beth McNinch, viola, Katie Tertell, cello and Conor Shiel, clarinet. Mozart loved the range and tone of the clarinet and was probably the first composer to give it prominence. This work, known as the Stadler quintet became one of Mozart’s most popular chamber pieces. The Brahms Clarinet Quintet is thought to be one of the gems of the chamber music repertoire. The energy behind Vivo by Liam Bates springs directly from its syncopated rhythmic patterns and sequences which are influenced by 70s and 80s jazz/funk and funk/disco as well as the music of Stevie Wonder and groups such as Earth, Wind and Fire. 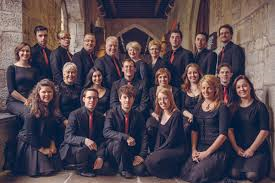 Musici Ireland ensemble is based in Wexford where it is managed by artistic director and violist, Beth McNinch. Since it was established in 2012 the ensemble has built up a reputation for excellence in performance and for presenting exciting programmes. They began 2018 with a new collaboration with the National Concert Hall and National Gallery to mark the opening of the Turner exhibition. In 2017 they performed a lunchtime series in the NCH. 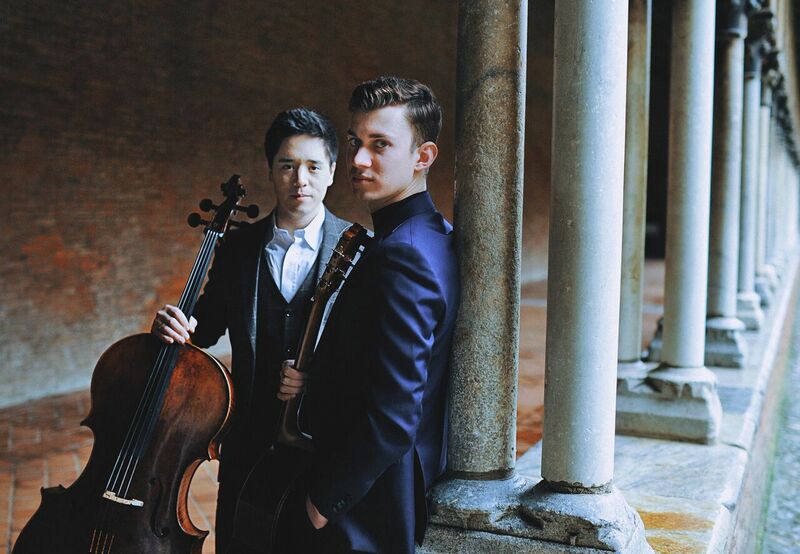 Music for Wexford, in association with Music Network, is delighted to present the first recital in Ireland by the Franco-Spanish classical guitarist Thibaut Garcia and the German cellist Isang Enders. This will take place in St. Iberius Church, Wexford on Sunday 22nd April 2018 at 3.30pm. This unique coming together of two of classical music’s brightest stars will showcase the versatility of their instruments through a range of music by Bach, Granados, Villa-Lobos, Gaspar Cassadó, Stephen Goss, Dušan Bogdanović, and a new commission from Benjamin Dwyer. Recently hailed by Classical Guitar Magazine as “the new face of classical guitar”, 23-year-old Garcia has already cut a swathe through the world’s foremost guitar competitions — taking first prize in six— thanks to his gossamer light touch, wonderfully sensitive interpretations and a repertoire that runs the gamut from Bach to Piazzolla to world premieres of contemporary compositions by composers such as Jean-Frédéric Neuburger and Vincent A. Jockin. At the age of 20, Isang Enders was appointed principal cello of the Dresden Staatskapelle, making him the youngest section leader in Germany. Noted for his clear, penetrating tone and his big-hearted, dynamic performances, Enders has enjoyed collaborations with the Stuttgarter Philharmoniker and Stavanger Symphony orchestras and performs regularly with the Orchestre Philharmonique de Radio France and Seoul Philharmonic Orchestra. “…sin títolo (‘without title’) is an instrumental reflection upon a madrigal by Carlo Gesualdo da Venosa. In looking back, however, I needed to realize this music through the refracted lens of four hundred years of ongoing compositional transformation. sin títolo is a not-quite-developed snap shot of Gesualdo’s music”. Music Network tours are funded by the Arts Council and are presented in association with RTÉ lyric fm. As part of our outreach programme our NEXT CONCERT will take place in Enniscorthy. 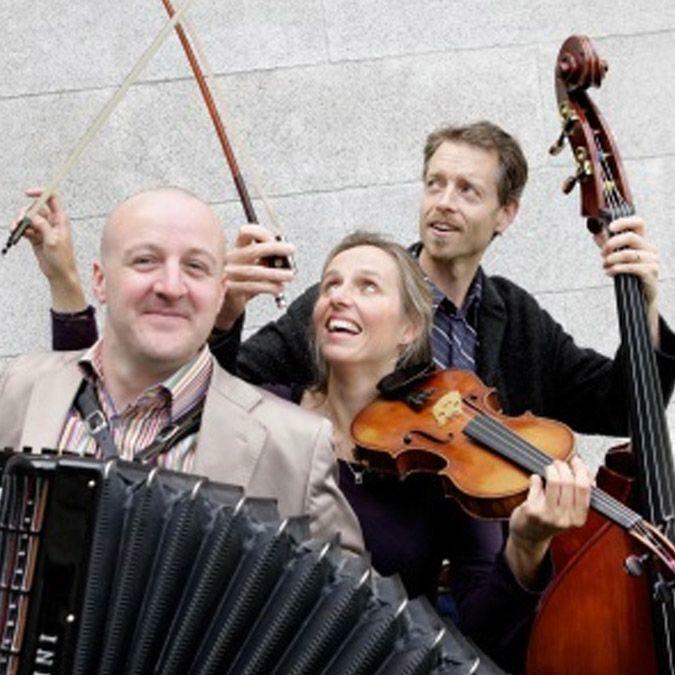 Leader of the Irish Chamber Orchestra violinist Katherine Hunka and the extraordinary accordion player Dermot Dunne have been playing together since 2007. They were delighted to be joined by Ireland’s most sought after and versatile double bassist Malachy Robinson for a national tour in January 2014. The trio has been invited to perform in many venues and festivals. Their concerts include repertoire from Baroque to Piazzolla, South American, Klezmer music and film classics. Their performances are packed with musical gems and are very much enjoyed by audiences with whom they engage in a most entertaining way. Katherine Hunka is the leader of the Irish Chamber Orchestra. Her duo with accordionist Dermot Dunne has been active in Ireland since 2007 when they toured in China with the ICO. 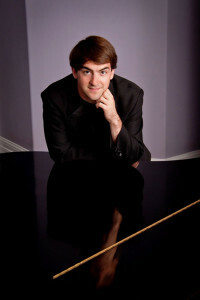 Dermot Dunne has performed in all major Irish venues and as well as The BBC Last Night at the Proms. He has appeared as special guest in concerts given by such diverse acts as The Blind Boys of Alabama, Irish traditional group Altan and Welsh operatic star Katherine Jenkins. Malachy Robinson is a colleague of Katherine in the ICO as well as having his own groups, the Gregory Walkers and the Robinson Panoramic Quartet; he performs with period instrument orchestras, chamber music ensembles and is a member of the Crash Ensemble. Music for Wexford’s annual concert series receives funding from the Arts Council. 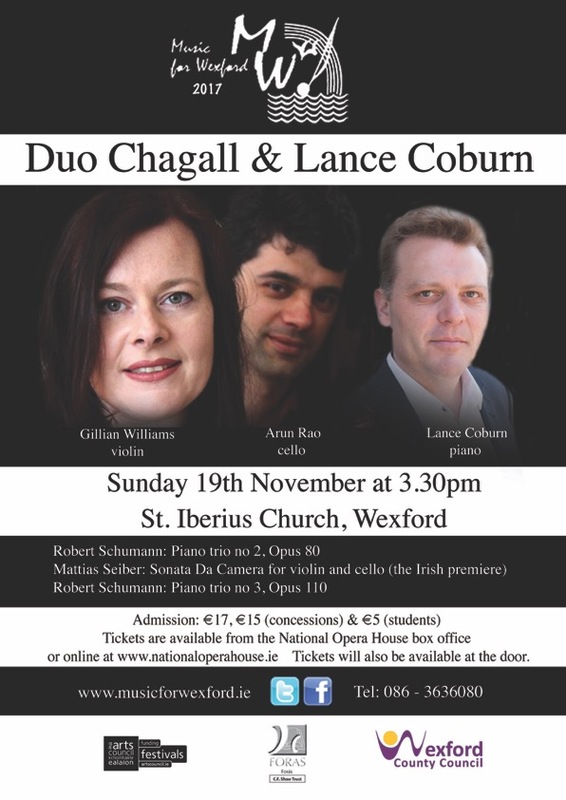 This particular concert is also generously supported by Wexford County Council Arts Department. 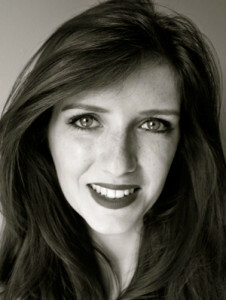 Lorna Breen is a 24 year old Soprano from Co. Wicklow. In 2015, she graduated with a first class honours degree in Music Performance from the RIAM studying with Mary Brennan. She then began her first year of the Masters in Music Performance course at the Royal Irish Academy of Music under the tutelage of Dr. Veronica Dunne and Dearbhla Collins. While studying she performed in a number of RIAM productions including the Magic Flute, the Cunning Little Vixen, Jephte and Ormindo. Most recently, Lorna performed in London as part of the ‘Conservatoires Ireland Showcase’ presented by Irish Heritage. She also performed in ‘The Very Best Young Irish Performers’ concert presented by The National Opera House in association with Conservatories Ireland in March 2016. She has also been the soprano soloist in Mozart’s Great Mass in C minor, Missa Solemnis in C major, and Missa Solemnis in C minor with Dún Laoghaire Choral Society and the Fishamble Sinfonia. In May 2017, Lorna won the Navan Young Opera Voice Competition and Bursary. Lorna is a multiple prize winner in the Electric Ireland Feis Ceoil including the German Government, Plunket Greene, Percy Whitehead & Thomas Moore Cups (2017), Margaret Burke-Sheridan and Nancy Calthorpe Cups (2016) and the Vincent O’Brien Memorial Cup (2015). In June 2016, Lorna was awarded the prestigious Leo Gibney Chamber Music Award by the RIAM along with her group members Miriam Kaczor (flute) and Seamus Wylie (clarinet). Lorna and Miriam have just completed the Apprentice Ensemble Programme as part of the Galway Music Residency and received chamber coaching from the RTÉ Con Tempo Quartet. She has participated in Masterclasses with Ann Murray, Patricia Bardon, Iain Burnside, Alison Browner and Finghin Collins. Upcoming events include a performance in the Feis Ceoil Young Platform Series in September. Having studied Business and Law at University College Dublin for 4 years, Robert McAllister, bass decided to pursue his operatic dream as a student of Dr Veronica Dunne and répétiteurs Alison Young and Dearbhla Collins at The Royal Irish Academy of Music. Since commencing his studies at RIAM, he has performed the roles of Sarastro in Die Zauberflöte and Bottom in Purcell’s Fairy Queen. He is a multiple prize winner in the ESB Feis Ceoil and this year won the Dramatic cup, Tony Quigley bursary and the Young cup. He has also won the Irené Sandford bursary at the Academy. This year, Robert travelled to Paris and New York to perform in a concert series entitled Writer’s choice. In the autumn he will return to Paris to perform in the Centre Culturel Irlandais. In addition to his solo work, Robert is also a chorister and a member of The Lassus scholars under the direction of Dr Ite O’Donovan. In September 2017, he will sing the Bass solo in Rossini’s Stabat Mater and Liszt’s Coronation mass in the National Concert Hall with Our Lady’s Choral Society and the RTE Concert Orchestra. In October, he will perform the role of The High King of Tír na nÓg in an Opera Theatre Company production of Robert O’Dwyer’s Eithne in The National Concert Hall with the National Symphony Orchestra. In February, he will travel to Halle in Germany to perform the bass solo in Handel’s Messiah in the Händel-Halle. He also plays the traditional Irish fiddle and was a member of a Grúpa Ceoil for over 10 years. Eimear McCarthy Luddy is a Dublin born mezzo-soprano currently studying her Masters in Music Performance at the Royal Irish Academy of Music under the tutelage of Owen Gilhooly. She was awarded a distinction in her Diploma in Music Teaching and Performance (RIAM), in addition to a Diploma in Community and Group Music Teaching (RIAM) and a Bachelor of Music majoring in vocal performance (University of Birmingham). In 2016 she was awarded second prize in the Irene Sandford Award for Singers at the RIAM, as well as the Canon McLoughlin Cup and the W.P. Gilbert Cup at Sligo Feis Ceoil. She was also awarded a place in the Young Musicians Programme at the Clandeboye Festival with Camerata Ireland. Her operatic roles include Mrs. Beane in Siobhán Cleary’s Vampirella, Mistress of the Novices in Puccini’s Suor Angelica, Il Destino in Cavalli’s L’Ormindo, and Grasshopper/Hen in Janacek’s The Cunning Little Vixen. She has also engaged in regular solo and chamber recitals during her term as Resident Artist with the Vivre Musicale chamber collective, in addition to a performance in Dublin Castle with the RIAM Chamber Orchestra to celebrate the Dublin City of Literature Festival. She performed as a chorus member with the RTÉ Concert Chorus (Madama Butterfly, Cavalleria Rusticana, and ‘A Tribute to James Horner’) and Lyric Opera (Tosca, ‘The Genius of Mozart’). 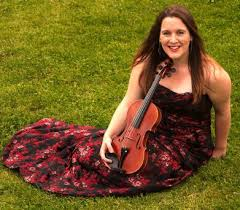 She has also taken part in Masterclasses with Roy Laughlin, Ann Murray, Iain Burnside and Alison Browner at the RIAM. 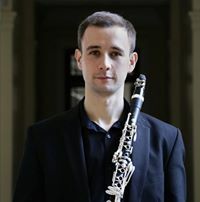 Shane Kenrick is a Dublin based clarinettist who on completion of an Architectural Technology degree went on to study music where he completed the BMus programme in DIT Conservatory of Music and Drama with Dr Paul Roe. He began playing the clarinet at the age of eight with the Knocklyon School of Music where he now teaches clarinet and saxophone. Shane has performed with a number of different ensembles, such as the European Union Youth Wind Orchestra (2013 and 2015) under the baton of Jan Cober which brought him to Luxembourg and Holland for concerts, including collaboration with the Simon Bolivar Symphonic Wind Orchestra as part of the World Music Contest. Other ensembles he has performed with include the RTE National Symphony Orchestra, RTE Concert Orchestra, DIT Symphony Orchestra, Esker Festival Orchestra, Irish Youth Wind Ensemble, DIT Wind Ensemble, Fishamble Sinfonia, Hibernian Orchestra and Co-Orch. Shane has also performed in several masterclasses with clarinettists such as Michael Collins, Tim Lines, Christian Stene, Edgar Heßke and Sarah Watts. In 2015 Music Network, the Arts Council and The department of Arts, Heritage and Gaeltacht awarded Shane funding as part of their Music Capital Scheme to purchase a new A clarinet. Dearbhla Collins, pianist, was born in Dublin and completed piano studies at the Royal Irish Academy of Music in Dublin and the Hochschule für Musik und darstellende Kunst in Vienna, continuing private studies with Boris Pertushansky in Bologna. She is one of Ireland’s finest and most versatile musicians. In addition to her accomplished career as a soloist, the prize- winning pianist is a regular chamber music partner to internationally renowned singers and Ireland’s leading artists and performs regularly with her pianist brother, Finghin Collins, in concerts for piano duo. Ms Collins is an acclaimed vocal coach for art song and opera at the Royal Irish Academy of Music and performs in Ireland, the USA, China, Germany, Tunisia, France and Great Britain. She has appeared in the Wigmore Hall, London and the National Centre for the Performing Arts in Beijing and given Master Classes in France, Beijing, Shanghai and Wuhan, China. She is recognized as a superb interpreter in accompanying German Lieder, contemporary vocal repertoire and international theatre music. Currently, she is Artistic Administrator of the prestigious triennial Veronica Dunne International Singing Competition in Dublin and a Patron of the Irish Freemasons Young Musician of the Year Competition. Ms Collins was artistic director of the Dublin Hugo Wolf Festival and opera consultant for the performances of the ‘Irish Ring’ at the Royal Dublin Society. She has been a member of the Board of the National Concert Hall, Dublin and served two terms as a Director of Culture Ireland, the national agency for promoting Irish arts abroad.